Is Guaifenesin for Fibromyalgia the Answer for You? I know guaifenesin for fibromyalgia is a controversial subject among fibro people. And, don't misunderstand, I'm not taking a stand on this protocol per say because of our other protocols that have been effective for creating a better quality of life. However, there are thousands who claim to have benefitted from guaifenesin for fibromyalgia. 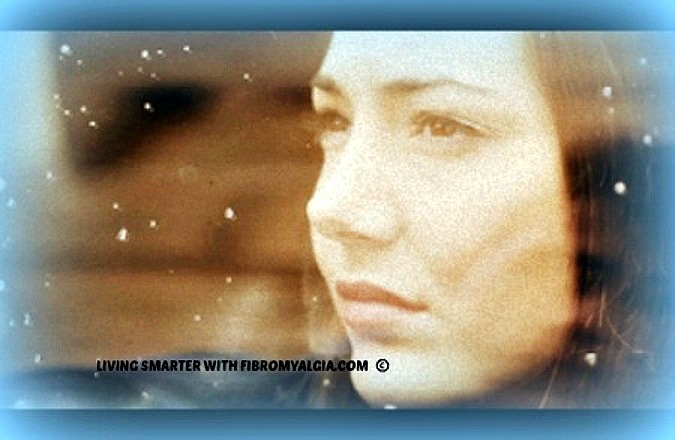 If we know it is helping fibro people, then like anything else, it is worth taking note of and what we might learn from it. I recommend you read this article carefully; it may dispell the rumors you've heard about guaifenesin. Dr. St. Amand points out that guaifenesin will only bring remission if there is a complete absense of salicylates. The fact that you have taken Mucinex (guaifenesin) for nasal congestion and it did nothing for your fibromyalgia is irrelevant. At least, arm yourself with the facts of the guaifenesin for fibromyalgia protocol; read our article here, there is also a link for the book in the last section of this article. I must say that Dr. Amand's book is impressive in terms of explaining the underlying science for using guaifenesin for fibromyalgia. And, since guaifenesin is in fact a non-prescription medication, I put a link to this article at the bottom of my Fibromyalgia Medication page. Guaifenesin is inexpensive, readily available, and has no side effects. "will guaifenesin work for me?" "I've tried so many things.."
For a protocol with so much substance and science as a foundation, I have been surprised at the lack of attention guaifenesin for fibromyalgia receives. There are relatively few websites that discuss it. But, when I read the book, I found that Dr. St. Amand builds layers of information to support each major component of his guaifenesin for fibromyalgia protocol. And, it's so common sense intense that it's hard to disagree with him. Now, don't get me wrong, I'm not endorsing the guaifenesin for fibromyalgia protocol for everyone with fibro. What I am saying is that Dr. St. Amand lays out the supporting physiological case very, very well and it made sense to me. Dr. St. Amand actually postulates a cause for fibromyalgia, and let me explain it in my own words. As we go thru the Activities of Daily Living (ADLs), every cell in our body, including our brain, has a job to do. This cellular process in a normal body is very precise. When a cell takes action, it requires energy. When it calls for more energy, the response takes place in a few thousandths of a second and the delivered energy amount is very precise. All energy supplied and used in our cells is supplied by a substance called ATP. ATP is the short name for adenosine triphosphate. ATP is produced within every cell's mitochondria, and these mitochondria are especially dense in our brain and muscle cells. You can think of them as little factories that convert at least eighty percent of our food intake into adenosine triphosphate (ATP). ATP is three phosphate ions joined to one molecule of adenosine. When the cell is triggered to take some action, it takes a high-energy phosphate off of the adenosine and uses it as energy for the action. In a normal body there's, practically speaking, an unlimited supply of ATP. Inside our cells a state of chemical equilibrium must be maintained and this depends on the electrical charge of each element. Since the phosphate ion carries two negative charges, it must pair up with an element carrying two positive charges. As it turns out, the calcium that controls all the actions in our cells is just perfect. So, from here on wherever phospate goes, also goes calcium. You can think of calcium as the "strawboss" of the little mitochondria factories. Calcium normally resides in a storage chamber witin the cell or in a pool just outside the cell. Little ion pumps are available to move the calcium in and out of these storage areas. When an action is initiated by a stimulus, calcium is pumped into the central chamber of the mitochondria in the affected tissue - for instance a brain or muscle cell. This is the equivalent of the "strawboss" saying "get to work". Dr. St. Amand says it's obvious that fibro bodies have an energy deficit. In fact he points out that low ATP levels have been measured in affected fibro muscles, but nearby muscles had normal levels of ATP. As we who have fibromyalgia know, this matches the way our pain occurs. He concludes that inadequate energy is in fact at the root of fibromyalgia. What Causes The Fatigue And Pain? It is well known that excess phosphates in the mitochondria cause our "little factories" to slow ATP production. This can result in the "using up" of all the excess ATP and even slowing the basic production. And since 40% of a cell's ATP is used just for running the pumps that move calcium (& phosphate) in and out of the inner chamber. When the ATP level becomes insufficient to pump out the calcium, it remains "on duty" still saying "get to work" and the poor cells keep trying to the point of exhaustion. The situation can degenerate to just enough ATP to keep the cell alive. The cells first affected are in the muscle and brain where the mitochondria are the most dense. These exhausted cells form the lumps and bumps in our muscles (really contracted muscle fiber), the associated pain familiar to fibromyalgia patients, and/or the fibro fog we all know and hate. Dr. St. Amand believes that corrupted genes are inherited from one or both parents. And that these corrupted genes act probably thru enzymes that affect the kidney's ability to rid the body of excess phosphates. In his words this broken process begins at birth and varies among individuals as to it's severity. This of course would determine the age of onset of the disease. Too much phosphate in a cell can severly damage the cell; to prevent this from occuring our body has a mechanism to correct the density of phosphates in our cells. It does this by moving phosphate into the bloodstream and delivering it to the kidneys where it can be passed out of the body. If the kidney is impaired, some, but not all, of the excess will be removed, at which point the kidney reabsorbs the excess phosphate into the blood where it is sent to various parts of the body for storage. Our bones are the best at absorbing it. Over time, however, their capacity to absorb more is greatly diminished. The body then "tucks" the excess in many, many spots throughout the body. As the danger level is again exceeded, the whole process is initiated again. This is certainly consistent with the "widespread pain in all four quadrants of the body" required for a diagnosis of fibromyalgia. Why Are Women 85% Of Fibromyalgia Patients? Dr. St Amand had a male, pre-teen patient who demonstrated all the symptoms of fibro. Then miraculously as the patient entered puberty, the symptoms began to disappear. It then occured to the Dr. that huge amounts of phosphates are needed to sustain rapid growth of bones and muscles. The testosterone fueled male tissues bulk up and require a lifelong supply of phosphates which tends to protect males from fibromyalgia. For many years, Dr. St. Amand treated numerous patients with Gout. We know that gout is caused by an excess of uric acid. Sometime along the way, he began to recognize a co-condition in some of his gout patients that we now call fibromyalgia. This condition as well as gout improved when he treated the patient with the gout medication in use at the time. Later when he recognized this co-condition was fibro and that it was characterized by an energy deficit; he put that together with the well known fact that excess phosphates in the mitochondria cause our "little factories" to slow ATP production thereby creating an energy deficit. He then compared the phosphate amounts expelled in the urine of both normal and fibromyalgia victims and found a lower level in the fibro patients. The light bulb came on in his head and he realized he could use gout medication to treat fibro patients. Various gout medications were used over the years, but all had undesirable side effects. Finally, guaifenesin came to his attention. It had absolutely no side effects, required no prescription, and worked very well to reverse the fibromyalgia in some patients. It does this by telling the kidneys to allow more phosphate to be released into the urine. Salicylates were first used for treating pain in 1500 BC. It was in the form of a "willow bark" brew. It was rediscovered several times by different groups including American Indians. Today it exists in hundreds, if not thousands, of products the best known of which is Aspirin. And, unfortunately, it can and does completely stop the beneficial effects of guaifenesin. To understand why we have to look at a very specific area of our kidney. This area is the set of tubules which interface with the bloodstream on one side and the exit path for urine on the other. As the body's debris reaches the kidney, the tubules filter it (including phosphate) from the bloodstream for elimination in the urine. This is initiated by chemical messages to each cell which cause the cell to stop or to take a prescribed action. Each cell in our body is covered with "receptors" which I explained in my mind body page. So, let me try again. Imagine receptors to be padlocks which require a specific key to open by a chemical messenger. Salicylates have the perfect key; guaifenesin, on the other hand, has a key that fits but not as well as the salicylate's key. I guess you have to jiggle it a little. Once the salicylates occupy the cell's receptors, there's no way for the guaifenesin to bind with the cell and tell it to open its faucet a little wider to let more phosphates out. You must completely eliminate salicylates. That includes diet, medication, body products, dental/mouth products and any external application of creams or gels containing salicylates. Dr. St. Amand's book covers this topic very well and even supplies sources of salicylate-free replacement products. When you start the guaifenesin for fibromyalgia protocol there is a period when your fibromyalgia symptoms get worse. The length of this period depends on how long you've had fibro. If you "hang in there", you will experience a couple of days with no or few symptoms. These breaks are what keeps many from giving up. Eventually, according to Dr. St. Amand, you will be fibro-free. Is Guaifenesin For Fibromyalgia For You? If what I've described interests you, I'd suggest you get Dr. St. Amand's book, "What Your Doctor May Not Tell You About Fibromyalgia". I am not taking a position on this protocol. I only recommend things I've personally tried or used and then only if it helped me. However, the book is well written and full of information on fibro. Also, trying the guaifenesin for fibromyalgia protocol doesn't mean you don't need my protocol described in the pages of this website. The fibromyalgia supplements should be avoided until you've checked them for salicylates. The "mind body connection" pages offer ways to cope with fibromyalgia such as meditation, deep breathing, etc.. These techniques will serve you well as the guaifenesin begins to work and intensifies your fibro symptoms. Low impact exercise should accompany guaifenesin for fibromyalgia protocol and be continued as you improve. The Fibro Fit People facebook page and the ongoing fitness articles in the website will be helpful. Finally, a fibroglycemic diet is a planned upcoming addition to the "diet for fibromyalgia" section. Remember that as a practitioner and trainer living with and specializing in fibromyalgia, I want you to succeed. I understand the pitfalls and even with a protocol that can significantly reduce symptoms, we know that ongoing support is crucial to long term success. Committ to follow the protocol religiously....dot every "I" and cross every "T". Never forget how miserable you are with this illness when you are faced with giving up something (that has been a comfort to you) because the protocol demands it.